Faculty & Staff: To download MATLAB, you must have a Mathworks.com account. Students: Must be currently enrolled, for credit, and degree seeking. Faculty, Staff & Students: The University has entered into a site license for MATLAB and 48 toolboxes. It can be downloaded onto any University owned computer by faculty, staff, and students, and on personal computers as well. Please email software@miami.edu to obtain access to the University site license. Email software@miami.edu to obtain access to the University site license. Log into your Mathworks.com account. Click on My Account, then click on Manage Licenses. Select License number 893205 Total Academic Headcount and click on download software. Click continue, as the default option is the one you need to download. It will then request your operating system. It will then ask if you wish to download all of the products or for you to choose which products you want. After your selection, download the installer, run the installer, and it will download your software. Already have a University site license? 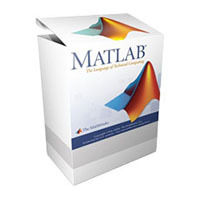 Click here to download MATLAB.